New Content & Working Screenplay Included. Copyright©Kris Courtney, 2017. All rights reserved. 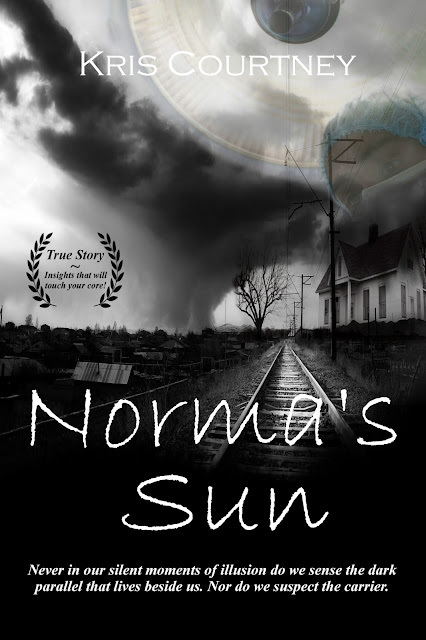 As Listed on the IMDb Records, Norma's Sun is the adapted Screenplay in Development. Currently seeking Talent Alignment, Line Production and Support Cast & Crew, this film is staged to present a heartfelt dramatic story-line never shown before! Production & Management can find a Full Synopsis on #INKTip for Viewing & Option Coverage Selection. This #Film #Adaptation is a memoir that came from the depths of one man's struggle to become a predefined member of a social mold which was never cast. A confinement that would later serve to encapsulate, isolate and establish a prototype of life not understood or sought by those watching. Blessing, punishment or choice is a position each is given and though not all will genesis into a full heart, most can adapt through perseverance. Yet you will question on how or who provided the seed to a life of strife. Further, worth following. Currently listed for the upcoming #FilmFestival listings for 2018 on #FilmFreeWay , This #Script is ready for Letter Of Intent and Letters Of Commitment from Agent & Talent! This screenplay may not be used, altered or reproduced without the express written permission of the author.